If you're about to become a mom or you're the mom of a new baby, you've probably heard a lot about the magical, mystical bond of moms and babies. "There's nothing like the love of a mother and child!" people proclaim, their eyes going all misty at the very thought of such a magical moment. And while the love of a mother is a beautiful thing, it's most important to realize that not all mothers fall in instant love with their babies the second they are born—and that's completely normal. "The pressure for ‘motherhood to change me’ and for my love for him to be ‘overwhelming’ was too much," she wrote. "It hadn’t happened overnight. "This is extremely hard for me to admit, and I have tears rolling down my face as I write this. Not because I still feel the same, but because nobody told me this could happen, so I thought I wasn’t normal. I beat myself up, and I broke my own heart. I became convinced I didn’t love him enough and there was something wrong with me." The truth is, every woman experiences pregnancy and new motherhood differently. Some woman really do fall in love with their newborns at first sight and others don't. 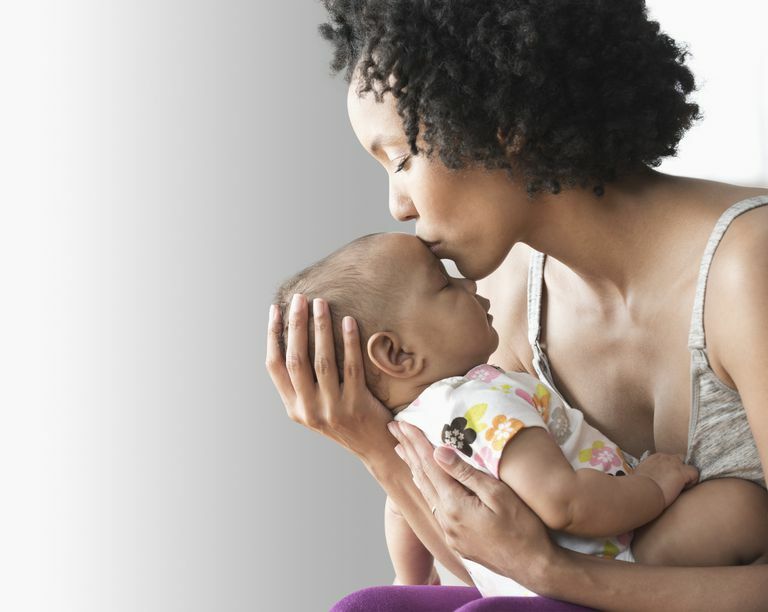 There is no wrong or right way to fall in love with your baby and the last thing any new mother needs to feel is guilt over how she bonds with her baby. And there may be chemical differences in women's brains that account for the varying levels of mother-baby bonding that go on as well. Newer research is examining the effects of oxytocin, the "love" hormone that also plays a role in labor, delivery, and breastfeeding, and discovering that women with depression or other underlying mental health challenges may have lowered levels of oxytocin that can interfere with their feelings of being attached to their baby. The point is, you may be expecting to fall in love with your baby right after he or she is born, or after you welcome your little one home through adoption or other family circumstances, but sometimes, that just doesn't happen. There are so many difficult challenges you encounter in bringing a new baby home and falling head-over-heels "in love" with your baby right away is not a requirement for being a good parent. You can still love your baby and care for your little one, even if you're not feeling that over-the-moon, mushy-gushiness of love. If you're not quite feeling the love for your newborn just yet, or you're pregnant and wondering if that maternal bond is ever going to kick in, don't panic. Give yourself time to figure out motherhood on your own terms and don't beat yourself up if you need a little more time to adjust to caring for your baby. Be open and honest with your feelings and focus on caring for yourself, too. However, if you are having prolonged difficulty bonding with your baby or are experiencing other symptoms such as wanting to harm yourself or your baby, be sure to talk to your doctor about your feelings, as they may be a result of postpartum depression, which is treatable.